Looking for a USED 3518-T120? DoALL is the only American manufacturer of all sawing elements – saw blades, sawing machines, cutting fluids and material handling systems, with value-added services and technical support second to none. DoALL offers the most complete line of band saw blades in the industry including bi-metal, carbide, diamond, carbon and knife-edge blades. 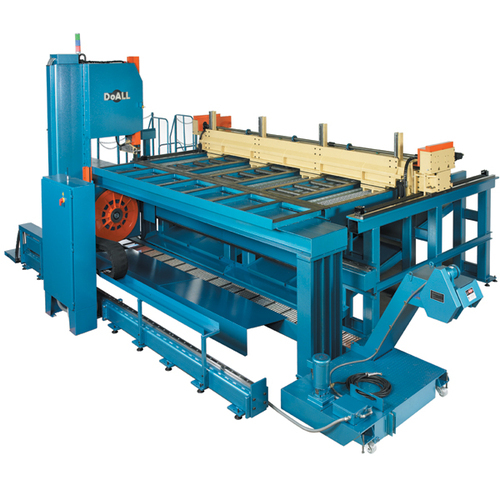 DoALL offers a wide variety of sawing machines for high production, general-purpose, miter cutting, vertical contour, and custom engineered sawing solutions. DoALL blends a wide selection of cutting fluids including soluble oils, semi-synthetic, full-synthetic, and direct application (mist) fluids to meet all your sawing needs. DoALL can also custom design material handling solutions to be integrated into your current, or new, sawing systems. DoALL Mexicana, S.A. de C.V.